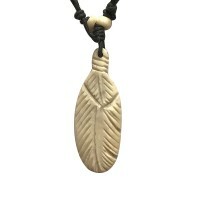 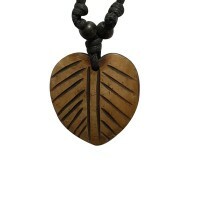 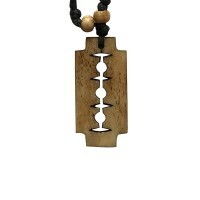 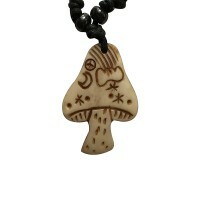 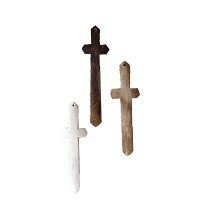 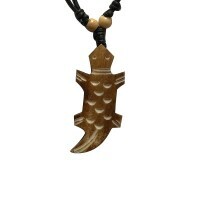 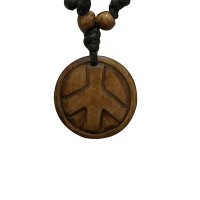 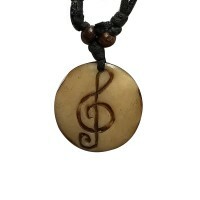 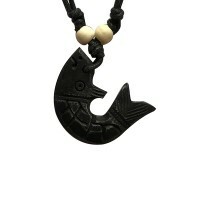 In the range of bone jewelry items we are also supplying handcrafted bone necklaces in various carving designs and colors. 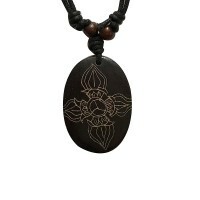 Whether you are looking for an auspicious signs carved necklace or beaded fine pieces of bone decorated necklace, you can place an order directly through our web shop. 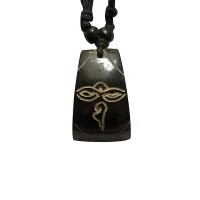 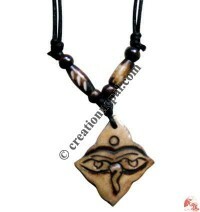 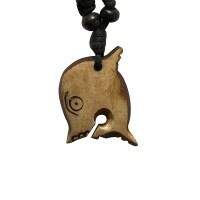 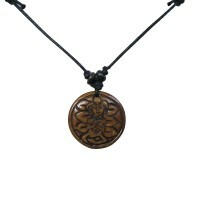 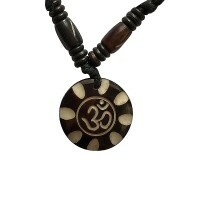 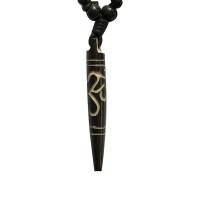 Buddha eye carved bone pendent.